Schirmchendrink, Deep House Amsterdam and Atish raise money for Volunteers for Humanity, a Swiss Humanitarian Organization. Although it lost the focus in daily media reports, the humanitarian situation in Syria is still disastrous. Hospitals and schools are destroyed due to attacks during the civil war and basic supply is missing. Over the last months Volunteers for Humanity collected tons of aid supplys for this cause. Help with a donation to safely transport the urgently required supplies to Syria! 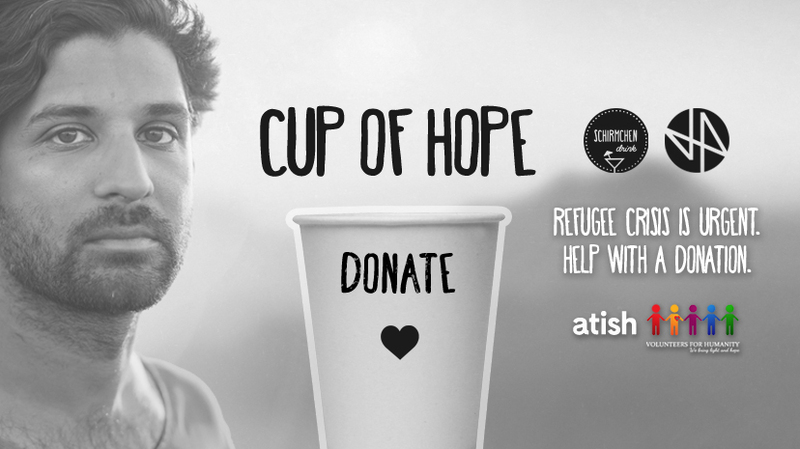 On December 4th, the Swiss/Belgian online podcast, together with online electronic music magazine and San Francisco based DJ and producer Atish, will release a special Christmas Podcast “Cup of Hope”. With a donation of your choice you’ll be able to download the mix inclunding the tracklist . If you place your donation before October 31st, you will be an official partner of the campaign and you can chose to have your name outlined on the cover art of the mix!